Given our love of marketing and technology over at CMO, we decided to round-up five recent marketing programs based around the utilisation of augmented reality (AR) technology to see just how creative technology can get. Austrian consumers were given the fright of their lives after TV network, Sky Austria, partnered with out-of-home ad firm and JCDecaux subsidiary, Gewista, to promote its zombie hit TV show, The Walking Dead. In advance of screening the show’s season premiere in Austria, the companies employed augmented reality technology at a tram shelter in Vienna’s CBD for a two-day experiential campaign that made it appear zombies had descended on the capital. The ‘Scary Shelter’ installation used zombie footage shot for the campaign specifically with a real-time feed of the physical background around the shelter to make it appear that the zombies were actually coming after the person waiting inside it. Over in China, Sofy sanitary pads producer, Unicharm, has partnered with JWT to launch an augmented reality experience aimed at turning sanitary pads into something women hide, to a source of conversation and entertainment. Aimed at 18 to 24-year old females, the campaign is designed to showcase the Sofy brand’s new ‘pocket magic’ product as both innovative and fashionable as well as tap into mobile usage and a love of technology. By downloading the pocket magic mobile app and then scanning the product, consumers unlock animated interactions with two characters, Su and Fei, which the agency claims will enhance selfies that can then be posted on social channels. As of 17 October, 280,000 women had downloaded the app, and the number of online mentions of the brand jumped 21 per cent. Dutch airline, Lufthansa, has released a new mobile app based on augmented reality designed to allow travellers to experience its premium economy seating and legroom virtually. Rather than rely on a specific image or shape, users are told to draw something that flies and scan it in order to activate the experience. 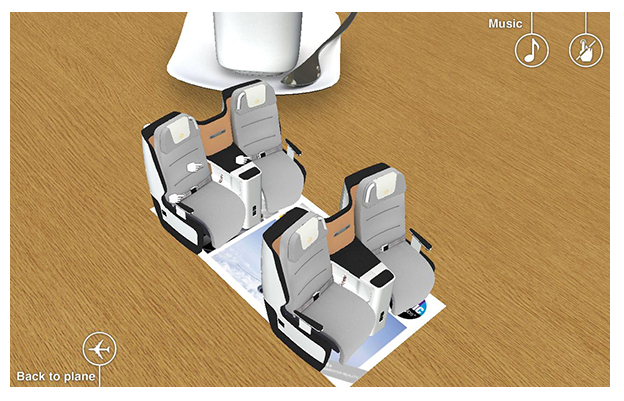 Once the premium economy seat pops up, consumers can rotate the chair, check out seat features and use virtual objects to fill up the extra space in order to gauge the size of it. The app was developed by digital agency, Space, and is available on both iPhone and Android devices. 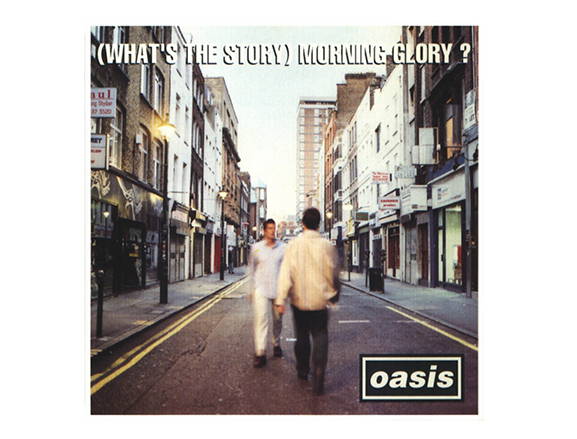 Earlier in October, augmented reality app company, Blippar, partnered with the recording label behind Oasis to provide a new dynamic to the UK band’s re-released best-selling album, (What’s the story) Morning Glory. The new capability is available to anyone with a smartphone and the Blippar app. Consumers download a scanned image of the album’s front cover, or the Berwick street sign, where the photo was originally taken, to access additional features including the ability to recreate the front cover featuring themselves, watch a 15-minute chat with Noel Gallagher, and buy the band’s back catalogue through iTunes. Dulux parent company, AkzoNobel, combined mobile interactivity and repainting walls with an augmented reality (AR) app that allows consumers to dynamically re-colour walls using their mobile device. The Visualizer mobile app was developed by UK computing company, String, in partnership with AkzoNovel, Tessella and Webcredible. Using AR, consumers have the ability to re-colour their walls as they move about room with a mobile device. As well as choosing, storing and viewing colours and colour schemes, consumers can use the app to save screenshots and share these with friends. The app was launched in June on Google Play and Apple App Store in 40 markets excluding the US, in 28 languages and across 25 of AkzoNobel’s paint brands including Dulux, Flexa, Nordsjo and Coral.